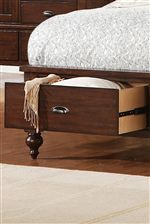 The Castlewood home collection brings you the best in distressed wood, casually understated traditional designs, and solid wood and veneer construction. 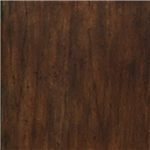 Pine, walnut, and mindi hardwoods are all included in this collection. 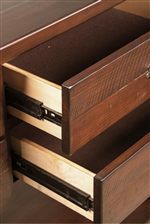 The warm tobacco finish comes to life against the random thickness and physical distressing on the top of each piece. 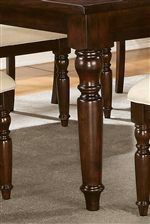 Sturdy block legs give support to many of the pieces, and you can choose from a variety of beds, dining tables, occasional tables, and entertainment pieces to best suit your personal style. 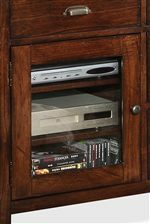 Many entertainment pieces feature easy wiring access and adjustable shelves so you can organize at your convenience. 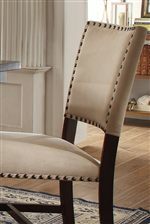 Select items feature removable casters that provide easy mobility, and you'll love the unique and elegant nailhead trim along the upholstered dining chairs. 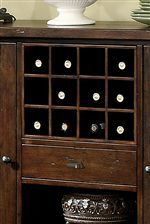 Silver-colored drawer pulls and knobs beautifully accent the warm tobacco finish. 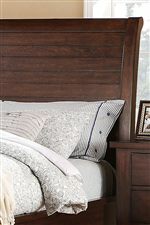 Castlewood is an incredibly versatile collection that will complement a variety of home styles.